Last year's constant torrential downpours left us with many problems. “Last year it rained into late June and the year before that it rained in July.” Around here it generally never rains past mid May. Most people that I say this to give me a funny look. They don’t believe me and then wonder how I even remember that. To them the weather is a day-to-day event that only dictates what they are doing right then – whether they are putting on pants and a jacket or going to the beach. They don’t remember what the weather is like from year to year. They disconnect from the rhythms of nature because they don’t need to be connected any longer. Their life doesn’t depend on Mother Nature to provide them with food. The grocery store shelves are always comfortably filled with food because if we can’t get the food here we can get from another state or from another continent completely. The only exception to this is for the people that live in an area with major storms that dramatically impact their life. Hurricanes, tornadoes and blizzards can turn their daily activities upside down and this makes for memorable weather. Droughts can also do this when people have to change their lives – no more watering the lawn AND sidewalk – to accommodate it. But the small nuances – the amount and timing of rain, the first and last frost dates, false springs, unseasonably cold or warm weather – most people just don’t remember that. 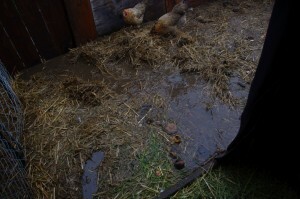 When you grow and raise food, however, these small nuances can have a drastic repercussions. For commercial farmers it could mean losing their farm. For those of us that also grown and raise food we depend on the food to save us money and so we have to be in tune with the weather cycles as well. When we lived in a agrarian society people knew how important this was. They had a deep respect for Mother Nature and knew that she ultimately decided if it was going to be feast or famine. With that reverence came celebration. 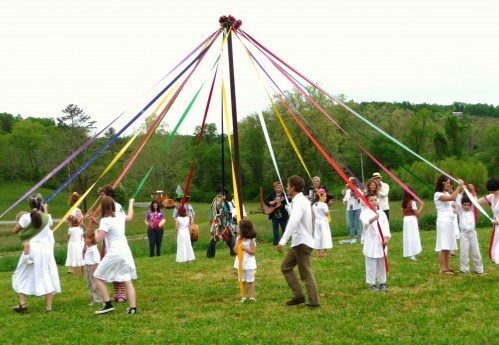 They honored nature in the spring with fertility rituals (the May Pole was quite phallic) and in the fall with harvest festivals. They had celebrations for every season including the return of the sun in the depths of winter. In the U.S. we really only celebrate one holiday as a nation (pockets throughout the U.S. that have large immigrant populations tend to ce that has agrarian origins – Thanksgiving. For most people today it is simply the day of tryptophan induced food comas and the day before “Black Friday.” Groundhog day is a more minor holiday with an agrarian history but how many people, including yourself actually know what this year’s prediction was? And was it even correct? In contrast, Europe, which many parts are still quite agrarian (factory farming doesn’t have a foothold there like it does here in the U.S.) celebrates many of it’s historical holidays centered around farming. Many of their religious holidays, such as Martinmas, still include agricultural rituals. The vast majority of Americans no longer eat seasonally so many are unaware that peppers and tomatoes don’t grow all year (we’ve had people ask us if we can bring them homegrown tomatoes in December). With this disconnect to growing food it isn’t surprising that our current food system in the U.S. has suppressed our desire to celebrate the seasons. As more people start to change their diets, grow their own food, and eat locally we’re seeing these celebrations return. We host a Celebrate Spring and a Harvest Potluck for our urban and rural farming friends every year. Loma Vista Farm, where we teach workshops, hosts a Spring Festival and Harvest Festival every year. There’s the Gravenstein Apple Fair In Sonoma County, the Harvest Festival at Ardenwood Historic Farm, the Hoes Down Harvest Festival at Full Belly Farm, and the Spring Fling and Harvest Festivals at Slide Ranch just to name a few. What are your favorite agrarian celebrations? This is a great post, so true. Ever since I started growing my own tomato’s with abandon (last 6 or so years here in Oregon) I refuse to buy tomato’s in the off season. They are horrible truck ripened mealy balls of mush and are not worth the financial or carbon footprint costs! My town has an after harvest festival at the end of July (because we are celebrating the harvest of wheat.) Because it is a Czech town, it mostly involves drinking beer.